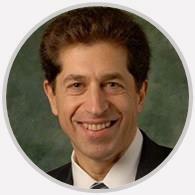 Dr. Barry Kleeman is a board-certified orthopedic surgeon with subspecialty certification in orthopedic sports medicine. Recently brought my daughter into Dr. Kleeman with an elbow injury. His level of knowledge mixed with his patient and calming demeanor put us all at ease. I love Dr. Kleeman. He is the best! I have been going to him for many many years, he is always knowledgeable, understanding and sympathetic. Dr. Kleeman was very informative and knowledgeable in his field of practice. He was pleasant, direct and truthful. I would recommend Dr. Kleeman to family and friends. He is a great doctor. Very informative, kind and respectful. Explained all I needed to know, and listened to my concerns. His whole staff was wonderful. Took me awhile to find a doctor that would take me seriously. In one office visit I feel about a million times better. Thank you! Caring, considerate ,explained everything well, NO COMPLICATIONS WHATSOEVER from first hip surgery and am getting second hip done in a week. Doctor was very nice. He went over everything about my future surgery. He was friendly and funny. He make sure if I had any questions. Very patient and caring. Listened to my concerns and did not rush the appointment.